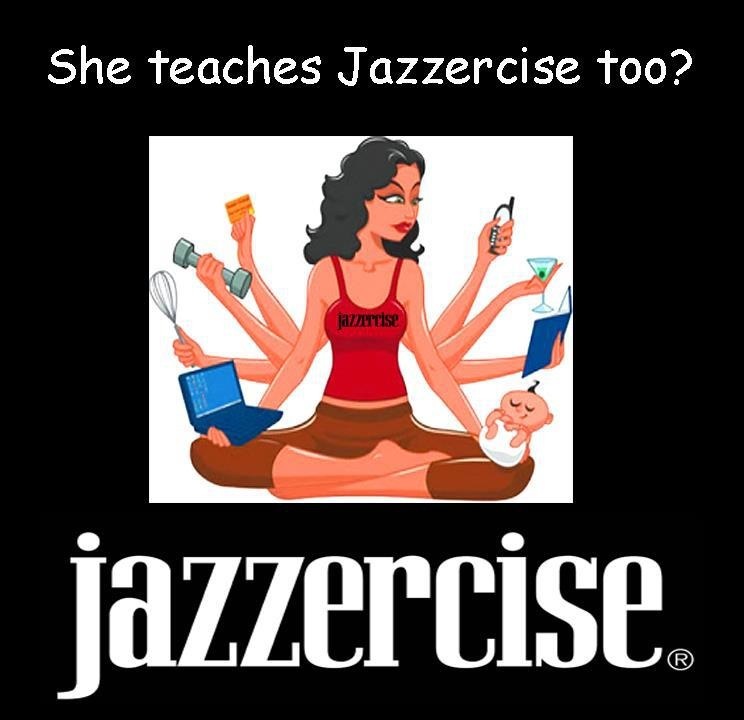 I’m pausing from regular Commercial Fishing Mom programming to write about how lucky I feel to be a Jazzercise instructor at my local studio. Our Jazzercise community is incredible. From customers to instructors to class managers, we have an amazing family of women (and one man) that I feel lucky and grateful to be a part of. This morning, we celebrated my friend Meghann’s fifth year of teaching with what we call a “team teach.” A “team teach” means that during the course of a one-hour aerobic set, a variety of instructors each teach three or four songs. Team teaches are fun for instructors and customers alike, especially when you are celebrating an event or holiday like the Fourth of July, Thanksgiving, or someone’s Jazzercise anniversary. Later on today, I attended an incredible event; the farewell concert of one of our Jazzercise customers. 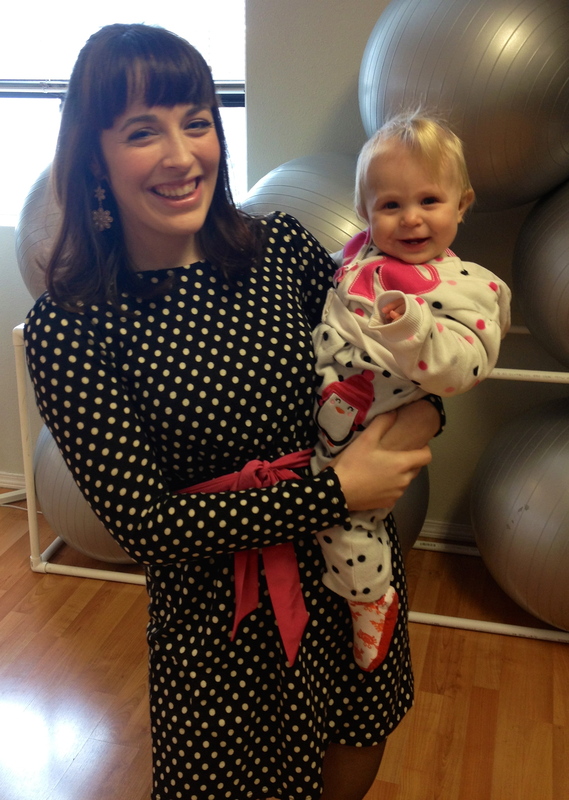 Our Annie, who would have been a Jazzercise instructor save her career as a Mezzo Soprano in Germany (ha! ), put on a beautiful concert that left me and everyone else speechless. She sang pieces from Gustav Mahler, Richard Strauss, Mozart, Alban Berg, and Leonard Bernstein before concluding with the most heartbreaking, beautiful version of Over the Rainbow (Harold Arlen) that I have ever heard. I had to be stern with myself in order to hold it together as she sang. 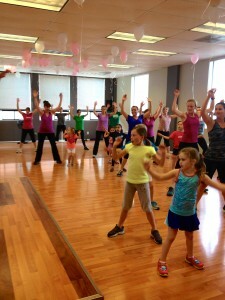 What else about Jazzercise at my studio? We celebrate and support our customers with cancer and participate in Relay for Life. 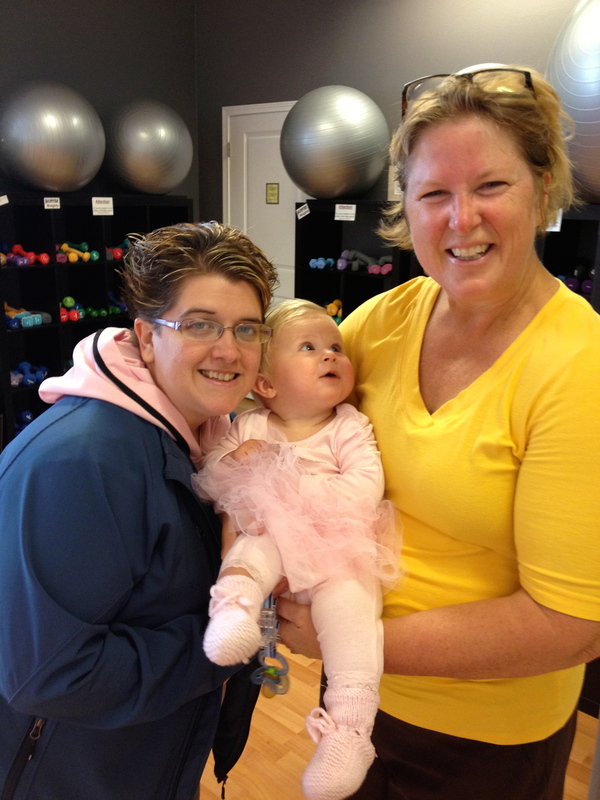 We host Mother & Child Jazzercise and donate diapers to the food bank. Twice a week, I say hello-and-goodbye to my own sister as she leaves the 8:25 a.m Jazzercise class and I arrive to teach the 9:35 a.m. class. Just today, I watched a new instructor teach a solid four routines during the team teach and felt both pride and respect for her and our studio. I laughed throughout class thanks to the blessed good humor of our friend and fellow instructor whose five-year anniversary we celebrated. I see Jazzercise friends at the pool, I watch them perform in theater productions, and I chat with them at school board meetings. No, I’m not as young as I was when I first started taking Jazzercise twenty years ago. I’m nowhere near the weight I was when I started teaching seven years ago. We don’t always all get along and we make mistakes and feelings get hurt. But when I see my fellow Jazzercise friends, I also see the infants we nursed in the studio childcare that now attend elementary and middle school. I see a shared past and I see a future. If you wonder why Jazzercise still exists, this is why. 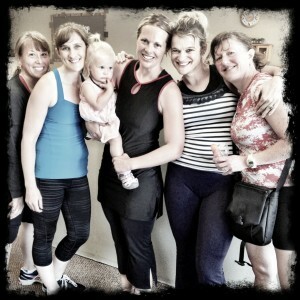 We not only dance and lift weights to awesome music, we create a community. It’s a thriving community of friendship, mishaps, forgiveness, talent, and growing. I wouldn’t trade my Jazzercise family for anything. 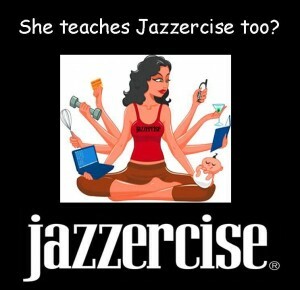 If you like good music, exercise, community, friendship, and joy, I recommend checking out your local Jazzercise center. You won’t be disappointed! 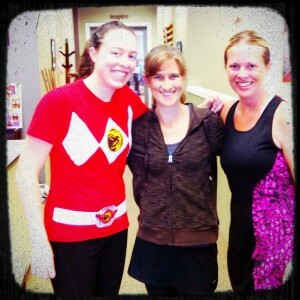 Some of my fellow Jazzercise instructors after a 4th of July team teach! 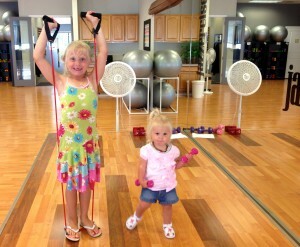 Two of my three children playing in the studio childcare. Some post–workout fun for the little ones! Where Are My Girls At? Thank You, Ladies! I’ve put off the “Closet Organization Project” for five years. In general, I’m pretty organized, due mostly in part to a “mild” case of OCD. My stomach clenches up and I have a little trouble breathing when I see “mess” in my house. Not your house, mind you: mine. Just mine. At that time, I tossed things into bins and boxes and then into a closet we didn’t really need (except to throw miscellaneous crap into). Five years and one additional child later (for a total of three children), we now need that closet. We’ve needed the space in that closet for the past year, but I haven’t had the time or energy to go through it. Today, though, I’ve spent about three hours looking through the bins, drawers, and scrapbook caddies within that closet. I’ve found boxes of back-issues of Writer’s Digest magazine from the year 2000—on, and also copies of Journaling magazine (hey, who remembers that one?). I’ve found ancient (2004) photo-editing programs, a Suze Orman will and testament program, empty and full scrapbooks, and even a stack of original magazines describing the events and aftermath of 9/11. I love to collect quotes and pictures. While going through my scrapbook organizer today, I came across a few of each that touched me in some way. I set a couple of them aside before recycling and trashing the rest. There was one in particular that caught my attention and gave me pause. I read it and thought I might scan and email it to a few of my girlfriends in thanks for being the encouraging, smart, and loving women they are. Then, I decided that I would scan and post it right here on my blog in thanks to all of you. 2012 ended up being a good year for me. 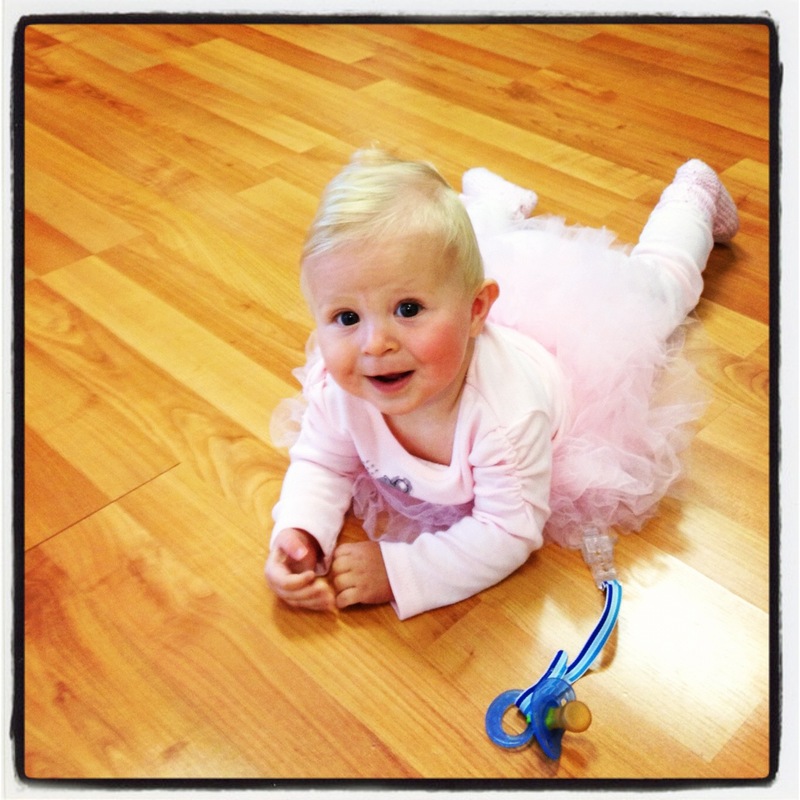 After an emotionally and physically difficult pregnancy in 2011, I gave birth to baby Valerie Joy in January of 2012. 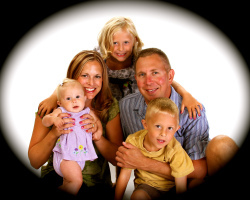 Vincent finally had his hearing loss diagnosed and treated later in the spring. Our family got a summer membership to the neighborhood outdoor pool and spent every sunny day there in warmth and play. For the first time in about ten years, G took the summer off from fishing and spent two months with us. We celebrated ten years of marriage, and I went to my 20th high school reunion. Eva entered first grade, Vincent entered kindergarten, and Valerie turned out to be the sweetest baby ever. 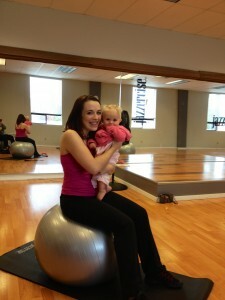 Like all moms, I have many balls in the air and juggle a million different things all at once, all the time. I love my mom friends. I also love my writing friends. My Jazzercise friends. 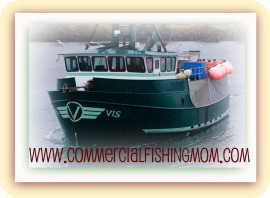 My commercial fishing wives and mom friends. My old friends. My new friends. My mother. My sisters. My daughters. My real life friends, and my online friends. Friends I was close to once but no more, and friends I’m close to now but didn’t know before. When I found this quote, I had to share it with all my women friends who have helped out, shared their lives, and supported me with their offer of love and kindness, humor and understanding. Whether real or virtual, old or new, you have all been a friend to me in some capacity in 2012. I hope I have been the same to you! I’m feeling a little blue today. Not only is the weather gray and drizzly, but I have no idea where my husband is and I haven’t talked to him in around two weeks. Actually, I have only talked to G about three times in the last couple of months, and it is starting to dawn on me that is kind of a long time to go without communicating with one’s spouse…even for people like us, who are totally used to limited and non-existent communication. Sure, I could try calling the satellite phone, but I always hesitate to do that because once I start calling THAT phone and he doesn’t answer, the more frustrated I become, and then I grow worried. A worried momma doesn’t do anyone any good. 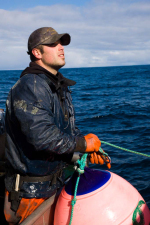 I’m not concerned yet; I know G is likely in the Gulf of Alaska without cell phone coverage, working hard to catch that part of the halibut and blackcod quota, and then moving into Southeast Alaska. George loses track of time easily whether he’s at sea or on shore, and he probably doesn’t even realize how long it has been since he’s called home. I have to admit though, that while everything has been going (and continues to go) better than expected with the three little ones and me at home, time is starting to drag and I’m getting rather tired. We are still moving forward, however; Vincent finished up one of his pre-schools, Eva’s kindergarten has many end-of-school-year activities planned, and my parents returned from Hawaii. I’ve also been at Jazzercise just about every morning for the past three weeks, working off stress and weight, which is a win-win for me! At this point, if I didn’t have Jazzercise to go and see my friends, visit with all of our children, and bust a move to up-tempo music, I’m sure I wouldn’t be doing this well at home. 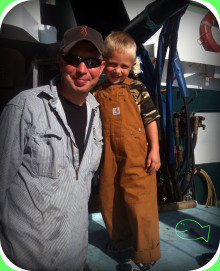 We are down to less than a month until G gets home from this year’s blackcod and halibut season. Unfortunately, so far, the season has been painfully slow and the guys have been grinding away for not much reward. 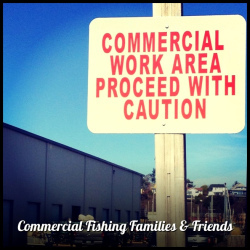 The upside is that the annoying portion of the fish plan is now completed and they are moving on into the middle and end of season, which should prove to be a lot better fishing. At any rate, the real upside is that in about three weeks it will all be over and the guys will be home. I know that after over four months alone with three kids aged six and under, I am looking forward to having another parent at home. We have done very well, though! I am so proud of the children (and me!). I never imagined that we would make it this far and largely trouble-free. Eva and Vincent have worked hard to follow directions and try to get along with each other and with Mom so that we could have a nice time. And of course, little baby Valerie remains as sweet as ever. She smiles at everyone and honestly appears so happy to be in the world with us! My parents have helped me quite a bit since Valerie was born last January. George has fished two seasons since Valerie was born and he has really only spent one week at home in the last four months. When my parents left for Hawaii two weeks ago, I was nervous about how I would manage truly on my own and being solely responsible for getting everyone everywhere on time. Although I have no energy left over at the end of each day and the kids and I are in bed at 8 o’clock each night, we are managing decently. I have also returned to Jazzercise, which was something I’d look forward to! One of the greatest things that has happened during this time is the opening of our neighborhood swimming pool. We moved up high enough on the waiting list this year to be offered a summer membership, and I couldn’t be more pleased. While the weather has not been great, anytime that the sun comes out and it’s over 60°, and the kids and I race to the pool. I absolutely love packing our lunch and snacks and towels and suntan lotion for an afternoon at the pool. Valerie looks adorable in her little swimsuit, and it’s fun watching Eva and Vincent play in the pool and go down the slide. It is not easy juggling a six-year-old, a four-year-old and an infant all at once at a swimming pool, but it’s totally worth the effort to be outside, getting exercise, and watching the kids have so much fun. I have been surprised how many families we know also received pool memberships this summer! I have seen families from the neighborhood, from preschool, and ballet. My parents will be home in another week, and George should be home two weeks after that. I am looking forward to everyone returning home safely and soundly, and I am equally as happy and grateful to have had all this quality time with my little ones. It’s tough being the only adult on duty and I’m in survival mode (doing what HAS to be done and not much more), but I’m sure the children and I will always remember the memories we’ve made and the laughs we’ve had this winter and spring. I happened upon a booth recently that sold engraved rings. I bought one and had the names of all three children engraved upon it. It’s not easy being a “seasonally single” parent, but I love my kids and there are no other three people I’d rather spend this much time with. Everyone knows—or can at least imagine—how difficult it is to be married to someone who is gone more often than he is home. Some spouses are gone during the week and home on weekends, some are gone for three months and home for nine, others are gone for nine and home for three. We’re all aware of the difficulties of being responsible for each meal, clean-up, laundry, running around, paying bills, feeding animals, maintaining exercise, making beds, shopping for and putting away groceries, and filling the vehicles with gas. By ourselves, 24 hours a day, seven days a week. I was thinking about this last week, when the lawn mowing service was set to come and I needed to get in the backyard and clean up the dog poop before they arrived so they would mow it. I put on my dog poop shoes, grabbed the shovel, and entered the section of the yard designated “dog yard”. I was three piles into it when my eleven-week-old pregnancy hormones kicked in along with the smell and sight of my work, and I began throwing up. Repeatedly. I stood heaving next to the shovel for the two minutes my daughter hustled to help me out. I thought about stopping my task, as it obviously wasn’t going well. But I quickly remembered the lawn service won’t mow over the poop, and then I’d be stuck with overgrown grass and even more poop later. Next, I thought about the dinner that still needed to be made, teeth that needed brushing, dishes that had to be cleaned, and the tuck-in and prayers that needed to be said. All still ahead of me, and I was the only one who was there to do it. So, of course, I did it. A couple days later, as I reflected on that especially long day and evening, I thought it would be fun to play a game and see how many positive aspects of married single motherhood I could come up with. The following is my list. 1. I’m Perfectly Capable of Doing Things Alone. I have no problem talking to doctors, looking at ultrasounds, getting kids to birthday parties, and attending functions by myself. I can shut the house down and get everyone into bed, snuggled and peaceful, all by myself. I can also get everyone up, fed, dressed, and out the door in the morning. Not saying that’s without a certain amount of raised voices or whatnot, but I get it done! 2. I Have Physical Strength. I can haul eight bags of groceries up my stairs, four in each hand, and then walk back down the stairs to retrieve sleeping children and pack them up the stairs one by one and lay them on the couch to continue their naps without waking. 3. I Value Women’s Friendships. I enjoy talking to my Jazzercise friends, fishing moms, preschool teachers, ballet and gymnastics moms, writers, bloggers, book group moms, and online moms who all offer so much support, encouragement, advice, and humor on all aspects of parenting. 4. I Enjoy Lots of Snuggle Time with the Kids. Each morning, we sit together on our extra-wide recliner to drink milk and coffee and watch the news. At night, we sit together on Eva’s bed for prayers, a song, and a group hug. I get the privilege of enjoying all this bonding and memory-making. 5. I Can Make My Own Decisions. If I constantly waited for G’s input or go-ahead to do things, I would do absolutely nothing. I’ve adopted two dogs, fostered dogs, purchased a couch and a chair, and looked at potential houses to buy all on my own. While I wouldn’t make any major decisions alone, G has full faith in my ability to make good decisions and to act on them. 6. I Am Available to Attend All of the Kids’ Activities. I’ve never had to miss a ballet performance, gymnastics show, preschool graduation, or swimming lesson. We have also taken road trips together, just the three of us, and have a good time listening to music, stopping for food, and making up new jokes. 7. I Have Total Remote Control. At night, I can flop on the couch and catch up on all the programs I like but that totally annoy G when he’s home. 8. My Kids Have a Special Bond With Their Grandparents. They absolutely love spending time with my parents. My dad recently spent a week building them a playground in the backyard, complete with an extra slide, telescopes, monkey bars, swings, and ship’s wheels. My mom took them to the mall last weekend to get pictures taken with their cousin and rode the mall train with them a time or two. “You aren’t as smart as me, but you’re still a sweet Mommy.” –Eva, 5. “You guys are ballerinas. We are working mans.” —Vincent, 4, referring to Eva and me, Daddy and him. 10. I’m Always Grateful for G’s Help When He’s Home. Each and everything he does to help out is huge, no matter how small or large the task, and I’m grateful not to have to “do everything.” Taking out garbage, sorting recycling, emptying the dishwasher…it’s all noticed and appreciated! 11. My Marriage is Never Boring or Annoying. Each time G arrives home from a fishing season is a momentous occasion of celebration. And because he’s not usually here for long after he does arrive, each hour and day and week is spent just happy to be together again. We never repeat conversations, badger each other, or become bored. There’s just no time! Fishing marriages either disintegrate quickly or last forever. After eleven years of being together and nine years of marriage, I’m grateful that we’re as excited to see and spend time with each other as we were following the day we met. 12. My Kids Learn How to Get Along. The children are aware that it’s just them and me holding down the fort when Dad’s gone, so we have to cooperate and get along. If we say or do anything regretful, we quickly apologize, forgive, and move on. If the day was a total disaster, we sit together before bed and talk about how each new morning is a fresh chance to start over, try again, and do better. 13. My Kids’ Daddy Is a Hero. The kids ask every day about their dad. 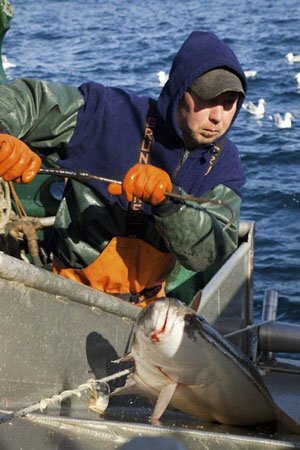 They want to know where he is, what he’s fishing for, who’s on the crew, when he’s bringing the boat home. When Daddy comes home, he’s their hero and he fills their little worlds with amazement, joy, and excitement. Then I get to sit back, relax, and let the three of them create their own memories and strengthen their bonds. You never know what’s going to happen when you are a Jazzercise instructor and you step on stage to teach. I got certified to teach Jazzercise almost five years ago, when Eva was a baby. Two weeks after I got certified, we found out Vincent was on his way. Many interesting things have happened in the years I’ve been teaching. I’ve taught to full classes of people wearing frowns and earplugs. I’ve taught to rooms of energetic smilers. I’ve felt my bad shoulder start to slip out of its socket and go back in. During the time I was nursing, I let down right before one class and ruined my top. 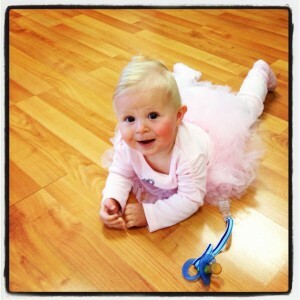 One time during a floor abdominal routine, I rolled energetically right off my mat and onto the studio floor. I love to laugh and have no problem making fun of myself, so I am able to play off these oddball situations and keep the class going. Sometimes, though, things get really weird. Like today. I was filling in for the class owner (who operates one of the top 3% Jazzercise centers in the district) during a circuit Jazzercise class. Oh, it wasn’t for lack of preparation. Not a fear of performance. Not a weak grasp on choreography. Not lack of experience. Nope! It was a plain old-never-can-tell-when-it’s-coming-totally-annoying-inherited-anxiety attack. So during a strength routine that I’ve taught a million times, I suddenly wasn’t sure what was going on. How the routine went. Where we were in the music. My heart started to race. I started to sweat. I looked over at another instructor, who happened to be attending the class, for cues. She nodded calmly, smiled, and got me through the rest of the routine. Then I slowly recovered. This situation has only occurred three times in the five years I’ve been teaching Jazzercise. Although I quit piano as a young girl because of similar events, I competed in gymnastics and track for years and years without a glitch. You just never know what will trigger an episode of anxiety and what won’t. The best thing you can do is smile, acknowledge, get a drink of water, breathe, turn on the fan, and chill….and know it has passed and is not likely to return for some time. I’ve been a lot of things the past couple of months. 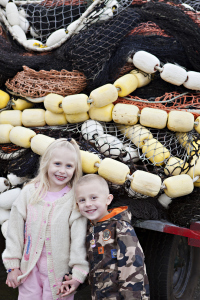 I’ve been the wife of a commercial fisherman during the Dungeness crab season. I’ve been the mother of a little five-year old daughter whose questions and curiosity seemingly have no end. The mother of an almost-four-year old son who’s decided that a kick is the best way to handle his frustrations. I’ve been the mother of a quiet, big, loving pitbull who died suddenly, and too early, at the age of seven after flourishing in cancer remission for three years. A Jazzercise instructor and student. The 17-Day Diet book reader. The “My tropical vacation is over” sobber. Aaah…I tease. I’m happy and grateful to exist in all of these roles and appreciate the ups and the downs. The one thing I haven’t been recently is a writer. Yikes. I can hardly wait until June, when I’ll find out if I am a finalist in the non-fiction category of the big Pacific NW Writer’s Association Literary Contest. I worked hard on my submission and sent it off knowing I’d done the best I could do. But then…I balked, not working on my project further and turning my attention to other things. It’s time to get focused again. I figured that the best way to jump in was through Christina Katz, my longtime writing mentor. She is holding a daily writer-inspired book give-a-way on her site, www.christinakatz.com, throughout the month of May. When she held a similar event in September for a few years, I actually won one time. Anyway, I will be checking her blog each day for inspiration and encouragement. If you need to get refreshed and refocused in your writing, I suggest you do the same! The Writer Mama Back-To-School Giveaway is back, only in May from here on out, instead of in September. In the past, not all of the giveaway authors were mom authors, but this year you will meet a new mom author every day in May. We also have a new theme this year: creative confidence. I’ll be asking each author a few questions about how authorhood has impacted her career confidence. Imagine a chance to meet and hear inspiring stories from a new mom author every day. It’s going to be really cool. I hope you can come by and participate. Participation is easy. I’ll post a new prompt each day when I introduce each author and book, and if you answer the prompt, your name will be added to the daily book drawing. It’s a lot of fun, you guys. This is my fourth time doing it and I cannot wait. Please mark your calendars for May 1st and I’ll look forward to seeing you here then! Several months ago, I got rear-ended on the Parkway. It was a bit of a surprise; the kids and I were at the light, three cars back, when suddenly we felt a significant jolt. Hmm. I pulled my car over to the side and cut the engine. A woman got out of a silver Audi and came to my window. The lady gave me her insurance information and I took down the make, model, and year of her car. “I have anxiety, too,” I added. “You do?” she asked, looking directly at me. Well….I temporarily covered the damage by slapping a removable Jazzercise bumper sticker over it. A month later, I called my insurance company, her insurance company, and met with the adjuster for her insurance company. Several more months later, just today, we finally got an estimate from our own local body shop. Surprisingly, their estimate came in at over $100 less than the one conducted by her insurance company. What I care about is the woman who hit me. She was quiet, sad, and somewhat out of it at the time. I hope she is doing and feeling better now. 1. Family (and extended family) trip to Vegas! 2. 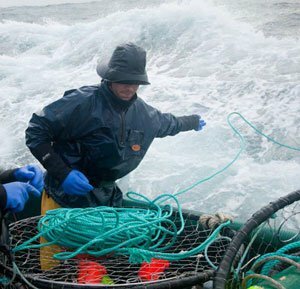 George, the crew, and the boat wrapping up the Dungeness crab season and coming home this weekend. 3. Eva and Vincent’s spring gymnastics show. 4. Only three more months until I find out if my submission for the 2011 Pacific Northwest Writers Association’s literary contest is a finalist. 6. 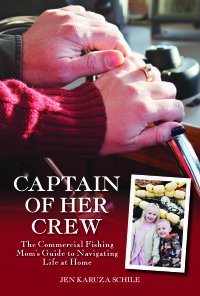 My upcoming feature story for National Fisherman magazine! Stay tuned for details. 7. 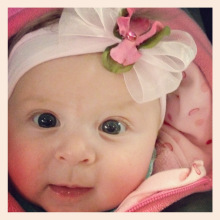 The most hilarious lunch with my parents, sister, and precious baby niece today. Lots of laughs and the best way to spend an afternoon! 8. Everywhere I went in Vegas, I heard Jazzercise music. It made me feel so at home, at ease, pumped up, and ready to roll. 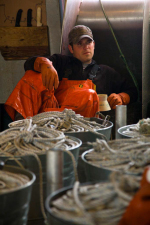 Thanks for the Memories, Dungeness Crab Season 2010-11! Thanks for a great season, Dungies! One of the most fun things I discovered recently was how to create a cool and custom banner for your Facebook page. At www.fbanners.com you can make a banner using your own photos, or their quotes, or your own quotes, their colors, your colors…whatever you want. You can also create a custom background. How awesome is that?? I’ve had a ton of fun playing around with various designs. I can’t believe I didn’t hear about or see this long ago! I know it’s been over a week since I posted a new blog entry, and that is a direct violation of the WordPress “post a week” challenge I undertook at the beginning of the year. I figure I’m allowed one or two misses. Among researching kindergartens, arranging care for two big and special-needs dogs during our forthcoming vacations, shuttling little ones to and from activities, G wrapping up the Dungeness crab season, and me attending and teaching Jazzercise classes and taking boot camp several times per week, I’ve been exhausted! G came home to visit during last week’s coastal storm. When G is home, our household moves at a much quicker (or as G might say, more “efficient”) pace. It’s the captain in him. Alone, the kids and I do try to take things as easy as possible because we are preserving stamina and endurance for the long days and nights…or weeks…or months.. when Dad isn’t around. But when G gets home, watch out! Hustle! When G left to go back to Westport this past weekend, I declared it jammies-and-sweats-we-aren’t-going-anywhere-Saturday for the children and me. We enjoyed a nice, quiet, obligation-free day. We didn’t leave the house one time but stayed home dressed in comfort, lounging on couches and overstuffed chairs and eating popcorn for lunch. It was just what we needed! George and the guys have had a tremendous crab season. I’m so proud of and happy for them. 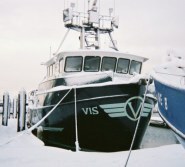 And I believe they are starting to wrap it up now and will soon get ready for the Alaska halibut and black cod season. The first inkling I had that the crab season was ending was our household Costco list; bleach was listed in G’s handwriting. I knew what that meant! 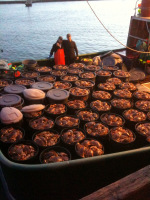 Time for all the buoys and 500 pots to come back up from the deep to be cleaned, stacked, and put away. Then, G will have about four weeks at home with us before heading north for the next several months. Here are a couple of Plinky writing prompts I thought would be fun to answer. Sunset. I can’t stand getting up early. I don’t like it at all. I do love the relaxation that accompanies day’s end, though. I feel calm and at ease, tucked inside my house with my family. I’ve felt lucky to live by the water for most of the last ten years and I love watching the sunsets over the bay. A glass of wine, a sunset, a bath for the kids, knowing we did the day together and can now cuddle and relax is my favorite. 2. Do You Feel Younger or Older Than You Really Are? I feel younger than I am. G would also add that I act younger than I really am. I can’t lie. It’s true. 3. If You Were a Professor, What Subject Would You Teach? I would teach English literature or creative writing. When both kids are in elementary school I fully intend on getting my Master’s in creative writing. Even if I am the oldest lady in the program!